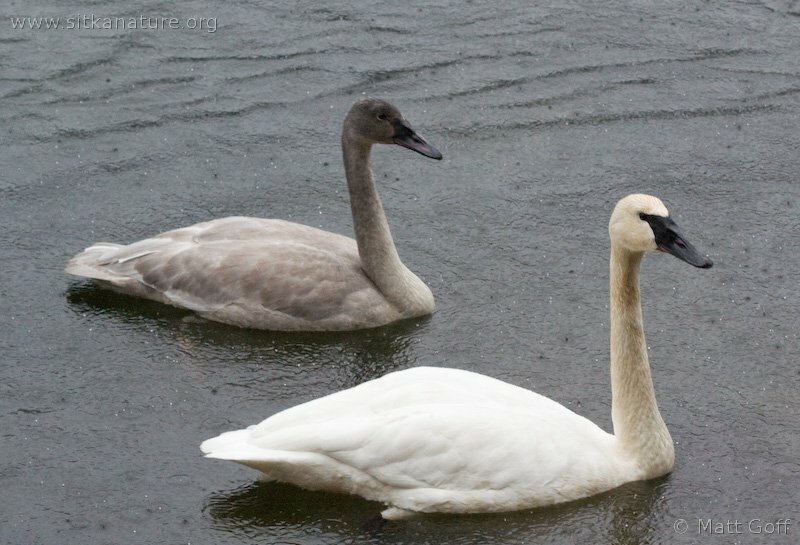 This adult and juvenile Trumpeter Swan were two of ten swans observed at Starrigavan Estuary, 3 January 2007. 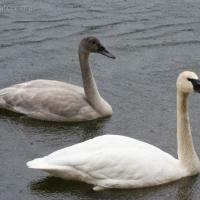 This entry was posted in birds, photojournal and tagged Estuary, Starrigavan, Trumpeter Swan. Bookmark the permalink.